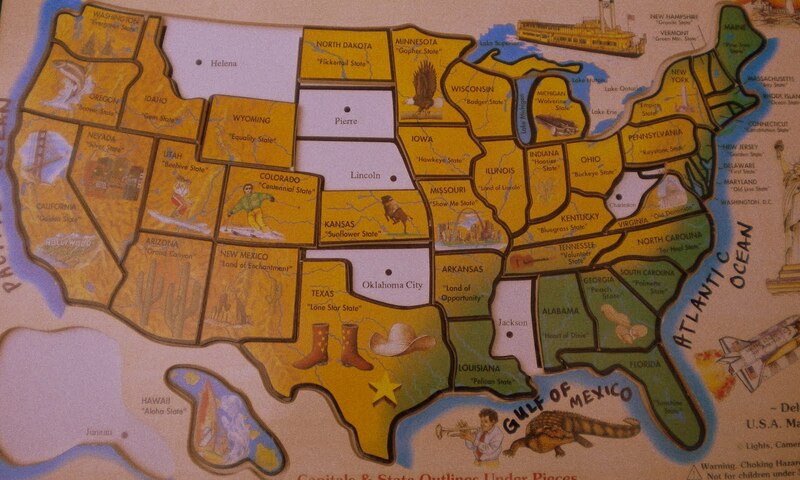 Last night we sat down at the table with our map puzzle and removed the pieces where Books for Walls hasn't been and wow, only 7 states to go. 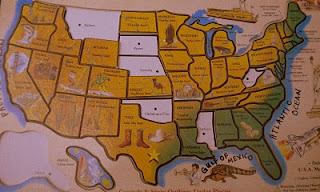 Curious about why we may not have reached these states we did a bit of research. We started with the population ranking: Alaska 47th, Mississippi 31st, Montana 44th, Nebraska 38th, Oklahoma 28th, South Dakota 46th, and West Virginia 37th. Pretty random, but maybe that has something to do with it, less people, fewer chances of getting there --but that wasn't the case with Antarctica population less than 2,000! Can you help us get to the last 7 states? Do you have friends or friends of friends in Alaska, Mississippi, Montana, Nebraska, Oklahoma, South Dakota or West Virginia? Tell them about us -we are watching closely to see just how quick we can scoop up these last 7 states! Recently we started Tell us Where you are From? and want to know more about your part of the world, take a minute and tell us! Have you taken this week's challenge? It's a good one: The Anthropomorphism Challenge --but not as tough as it is to pronounce, try it click here!! And come back tomorrow for a Challenge from The Big Sister! This week The Mom, next week The Big Sister --because next week is her birthday week and she is turning 10! !